Wrap your injuries on-the-go with a Small 3" Dr.Cool wrap. The Dr. Cool wrap replaces traditional bags of ice and combines cold therapy with compression, which can help to reduce swelling and speed recovery mid or post-workout. The small Dr. 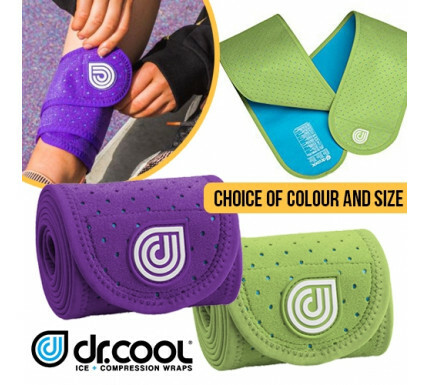 Cool ice wrap can be used on your wrist, ankle or foot and can also be used as a dry compression wrap to support and protect your body. When you’re on the go don’t forget to bring your small 3" Dr. Cool wrap.